Swirl Cookies: I made red and white for Christmas, but if you broke the batter into thirds and colored 1/3 blue/red/white, it would make a great 4th of July cookie! Watermelon "cake". Cut and tier watermelon slices like a tiered cake. 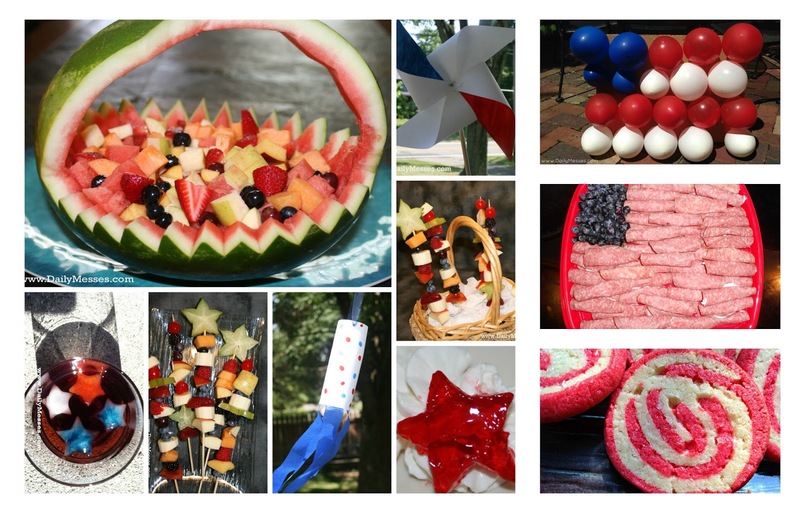 Decorate with other red/white/blue fruits! Chocolate dipped strawberries. Dip in white chocolate with red/blue drizzles, or in milk/dark chocolate with red/white/blue drizzles. My boys like sprinkles on theirs too!